Whether you want to install a new inline fuel pump, or retro-fit an in-tank pump into a fuel tank that was originally manufactured without a pump, FAST has an easy solution for you. All FAST fuel pump kits are designed to work with EZ-EFI, EZ-EFI 2.0 or XFI Systems, flowing the right amount of fuel for the application. 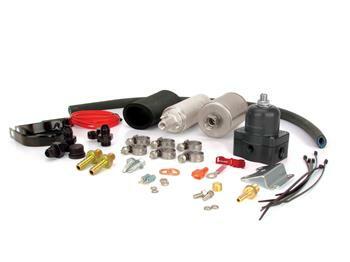 Master Kits include the fuel pump system, hose and fittings, while regular kits include the fuel pump system ONLY.